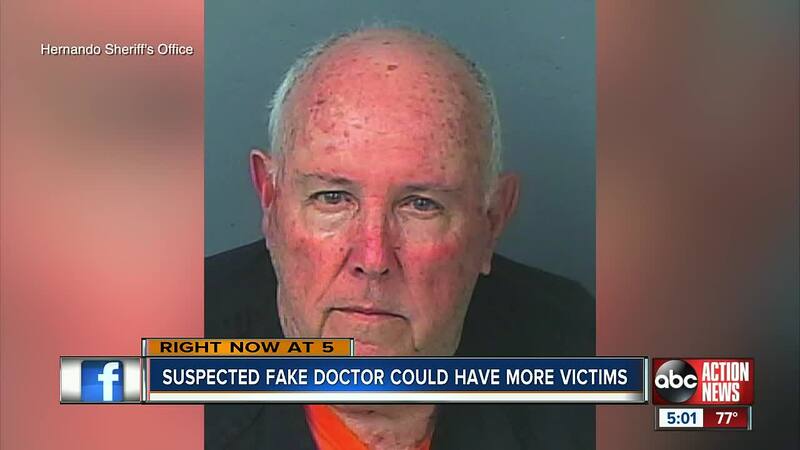 Deputies in Hernando County have arrested a 73-year-old Tampa man accused of practicing health care without a medical license of any kind. 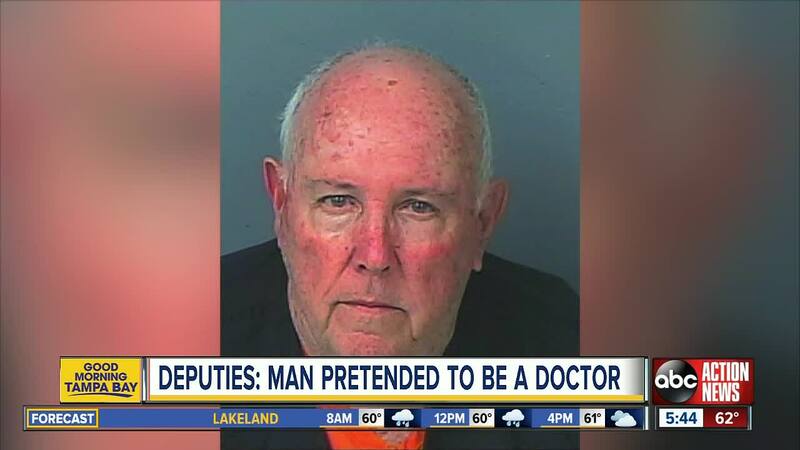 BROOKSVILLE, Fla. — Deputies in Hernando County have arrested a 73-year-old Tampa man accused of practicing health care without a medical license of any kind. Onelio Hipolit-Gonzalez reportedly advertised his services on a website called "El Classificado," an advertisement website for the Hispanic community, according to a press release. The advertisement reportedly showed Hipolit-Gonzalez in a white coat with the title "Dr. Onelio Hipolit." He advertised that he could treat "hernias, diabetes, Parkinson's disease, cancer, multiple sclerosis, arthritis, renal failure, Leukemia, Fibromyalgia, ulcers, vision problems, cysts and many other health problems." Investigators say Hipolit-Gonzalez never had a medical license, of any kind, in the state of Florida. “They’ve been seeking cancer treatment and they have been told by a licensed professional that they aren’t curable maybe he’s convincing people ‘Yes I can cure you as long as you pay me up front.," said Denise Moloney with the Hernando County Sheriff's Office. On February 7, 2019, investigators made arrangements for a "patient" to make an appointment with Hipolit-Gonzalez. Hipolit-Gonzalez told the patient to meet him at a friend's house in Brooksville because that friend lets him use his house to see patients. “All this stuff was going on next to my house and I didn’t even know anything about it," said James Crawford, a neighbor. During the appointment, the patient was handed a clipboard and asked to fill out paperwork and then he was asked to pay $160, which he did. 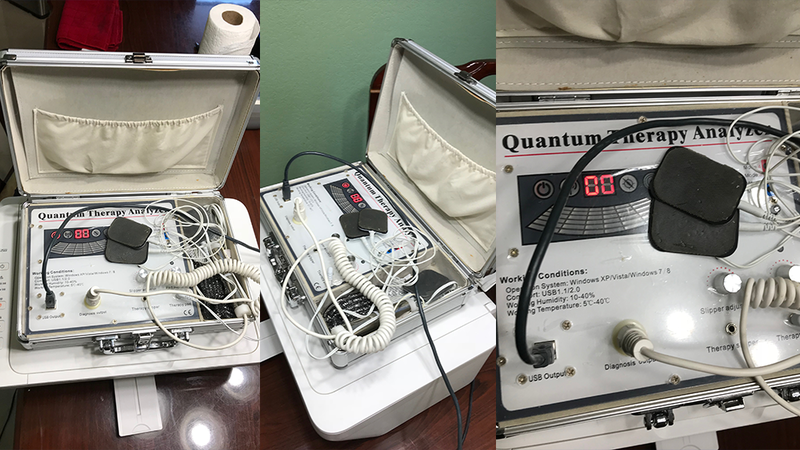 After the patient paid, Hipolit-Gonzalez checked the patient's blood pressure and pulse and then placed a band around the patient's head and had him hold a metal rod, which were both connected to a machine on the table. The machine started making beeping noises when it was turned on and Hipolit-Gonzalez told the patient that the device was testing his "heart, brain, intestinal system, bones, nerves, and "everything else," according to a press release. When the "test" was complete, Hipolit-Gonzalez told the patient that "his cholesterol was on the way to being high" and that he "was not getting enough oxygen to his brain." Hipolit-Gonzalez also told the patient that he has "50 percent fat in his liver and his gallbladder was not in good health." He also told the patient that he had Diabetes and Osteoporosis. He went on to tell the patient that he cured the owner of the house of his diabetes and called the owner to get his testimony for the patient. Then he told the patient he could cure him as well with several more visits for $2,000 and by injecting the patient with "his own blood." At that point, detectives went into the house and arrested Hipolit-Gonzalez. He was taken to the Hernando County Sheriff's Office to be interviewed by detectives. During the interview, Hipolit-Gonzalez told detectives he didn't think he needed a license to practice medicine. He said he was a lab technician in Cuba and when he moved to Florida he went to school to get a certificate for Iridology, herbology and nutrition. When they asked him about the machine he used during the appointment, he said he bought it online and there was no schooling necessary to operate it. He told them men need to hold the rod in their left hand and women hold it in their right hand and he believes it is very accurate and it will detect "everything," according to the press release. “It's outrageous," said Crawford, "You don’t play with nobody’s life like that." Detectives asked him about injecting his blood into patients and Hipolit-Gonzalez said he doesn't do that. He told them he draws the patient's blood and then injects the same blood he just withdrew, claiming that when the blood enters the body, it "combats" the blood cells and helps their immune system. Hipolit-Gonzalez was charged with Unlicensed Practice of a Health Care Profession, Unlawful Use of a Two-Way Communication Device and his bond was set at $10,000. If you have been treated by Hipolit-Gonzalez, the Hernando County Sheriff's Office wants to talk to you. Please call the Hernando County Sheriff's Office Vice and Narcotics Unit at 352-754-6830. Reporter Isabel Rosales contributed to this article.